The Royal International Air Tattoo (RIAT) is organised by The Royal Air Force Charitable Trust. The trust is best known for staging the world's largest military airshow at RAF Fairford. The origins of the Air Tattoo stretch back to a modest airshow first held at North Weald Airfield in 1971. Inspired by two air traffic controllers, Paul Bowen and Tim Prince, this event, organised wholly by volunteers, was originally held in support of the Royal Air Forces Association. In 1972 the Americans allowed the airshow to be held at RAF Greenham Common and the links with the US Air Force began. In the 80s the Air Tattoo had to find a new home and in 1985 the US Air Force offered RAF Fairford which had a history including being a base for troop carrier and gliders for the D-Day landings, and a USAF strategic bomber base. The runway is over 3000m long and has an unrestricted load capacity which also made it suitable for 8 years as a test centre for Concorde and an abort landing site for the space shuttle, so perfect for hosting the variety of international aircraft attending the Air Tattoos. Nowadays it is a standby airfield capable of reactivation within 48 hours. Over the years volunteer force has grown into an army, more than 3,500-strong, who bring with them a wealth of aviation and event-management experience that has helped the Air Tattoo grow into the enormous event it is today, having had 56 nations participate over the years and a world record 535 aircraft attending the 2003 show. 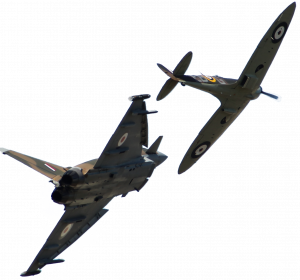 The show is another favourite of ours and very different to Flying Legends. It is a fantastic blend of modern military and classic aircraft. In 2018, 302 aircraft, from 43 air arms representing 30 nations attended the airshow, of which 121 took part in the flying display. Obviously there are too many to name here but you can expect a very diverse show including many civilian aircraft ranging from the Australian Hercules, German Tornados, Italian Typhoons, Turkish F16C, US B-1B to the Battle of Britain Memorial Flight Lancaster, Spitfire & Hurricane and of course the Red Arrows. It is loud and exciting! See the link below for the full participation list. We have been lucky in the past to be part of some of the major events at RIAT including the 2018 RAF 100 celebrations and the last flight of the Vulcan with the Red Arrows. Our visits to RIAT include a full day in the Cotswold Club including lunch. This gives us a stunning private enclosure directly on the crowd line for a perfect view of the fantastic flying display. It has a quintessential Cotswold theme with a classic car twist, garden style seating, private toilets, additional pay catering and bar facilities including afternoon tea. We include the Cotswold Club for your comfort as there is shelter from the sun or rain if needed. Whilst this crowd line marquee is most suitable for the group it is just behind the take off point of displaying aircraft so keen photographers may wish to position themselves further up the runway for some of the day. The ideal vantage point is the Viewing Village enclosure which has either grandstand or garden seating options and a standing photography area. We can organize these alternative enclosure tickets if requested. In addition to the 7 – 8 hour airshow there are a few kilometers of static aircraft displays and trade stands including the Vintage Village. Once you have explored these you can hop on the free shuttle back to where you like. A day here will knock your socks off for sure! 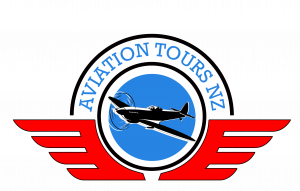 We hope you can join Aviation Tours NZ for this amazing experience.